Since the whole Periscope-craze has taken off, I've noticed that there are certain types of broadcasts that I prefer over others...and that is a how to. Did you catch Ashley from Schroeder Shenanigans in 2nd's broadcast about organizing your fonts and clip art? GENIUS!!! Try to catch it before it expires. I also enjoyed Amanda from Patterson in Primary's broadcast about how to use Chatter Pix and other apps in the classroom. Ashley from Teaching in Bronco Country showed her viewers how to play Sight Word Jenga. Loved it! You can see them common thread there, right? So I decided I would try to do the same thing-a how-to of sorts. 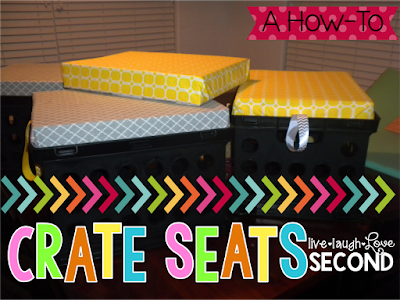 And I immediately thought of the crate seats I made this weekend. I remember being worried about how hard it would be, and then I was amazed at how easy it was. So what better how-to to share than this??? If you caught it live, yay! And thank you for watching. I unfortunately forgot to save it to my phone, but I promised directions on my blog, so here we go! Step 2: Trace the edge of the wood onto the foam and cut out. I cut 2 pieces to use for each seat. Step 3: Here's where the optional tacky spray comes in. I used it to stick my 2 pieces of foam together first, and then I sprayed the wood and stuck the foam on top of it. I just thought it made everything a bit more sturdy. But-you do NOT have to use it. Step 4: Place the seat upside down on your fabric. (I sprayed a bit of tacky spray on the foam before I placed it on my fabric.) I cut 1/2 yard of fabric for one seat, and I still trimmed off about 1/4 of the piece I had. This picture is before I trimmed the excess. Step 5: Start folding the fabric like it's a present, and staple it down using your staple gun. Go all the way around, making sure to cover the foam. Step 6: Using about 12-14" piece of ribbon, make a loop and staple to the side of the seat. Make sure it's long enough to actually use as a handle. Step 7: Cover the staples using one of two methods. On my first seat, I used duct tape to cover the staples. However, the next morning I noticed that the tape was falling off. I sprayed tacky glue on it, and now it's sticking fine. Another method is to cover the staples and exposed wood using felt squares. I simply hot glued the squares to the bottom on the seat, being careful to get all the edges. And that's it! 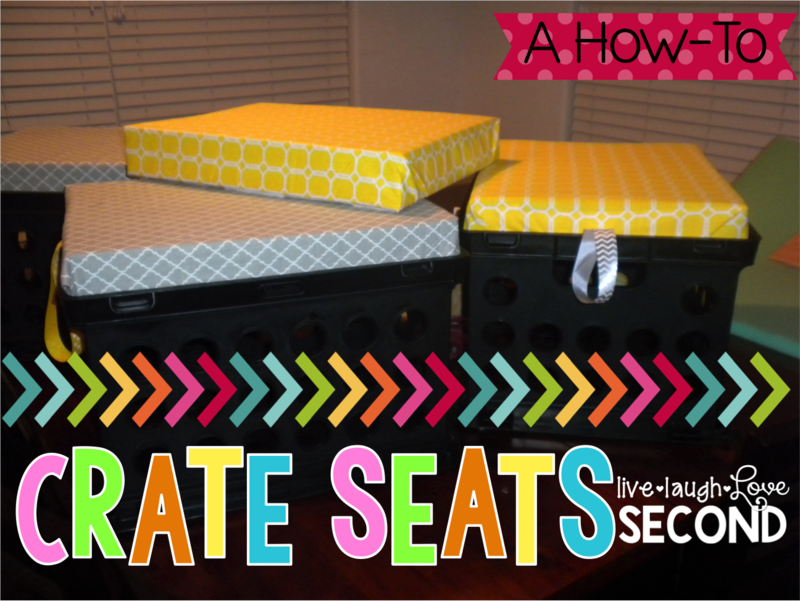 I think it took me about 15 minutes in real time to make each seat-from the edging to the foam and fabric cutting, and stapling. I got faster each time. I could not believe how easy it was. 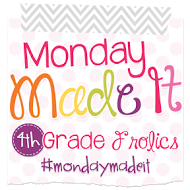 I linked up for Made it Monday, even though it's a little late. I made my seats this weekend, but wanted to wait until I could Periscope about it before posting this. But this was too easy of a project not to share! You can also join in over at Fourth Grade Frolics. Thanks again to those of you who watch my Periscope of this Back to School craft. I would love to see any seats you make! Make sure and tag me on Instagram at @livelaughlovesecond. Let me know if you have any questions, and have a great week! Thanks Stephanie! I actually prefer the duct tape over the felt.